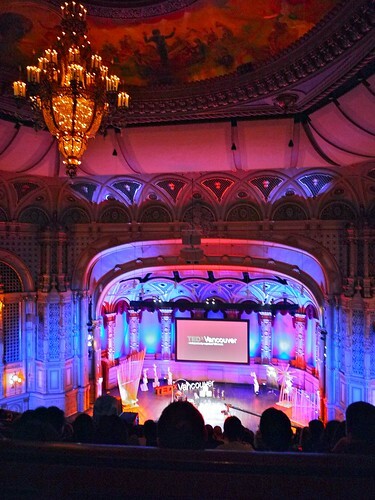 2012 TEDxVancouver: Confluence conference at the Orpheum Theatre on October 21, 2012. Two bodies of water joining together, "confluence". 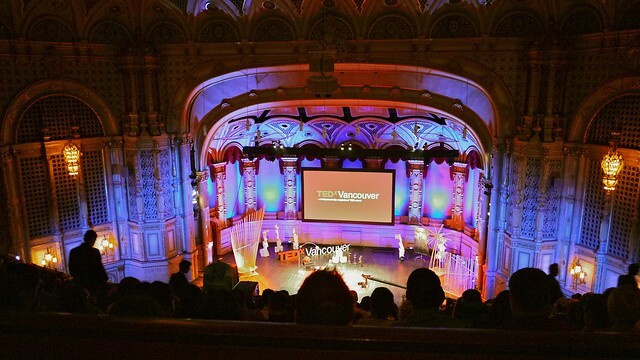 It's hard to believe this past weekend's independently organized and annual TEDxVancouver was my third already and fourth ever. 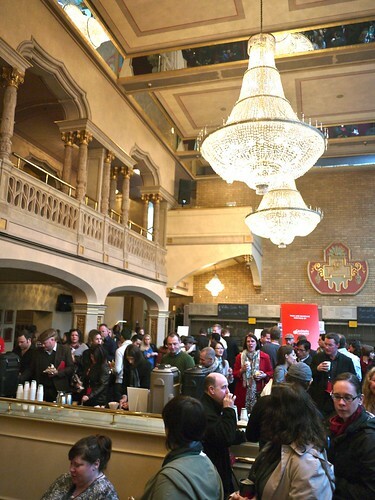 Twenty-three hundred attendees packed the beautiful Orpheum, doubling last year's total. 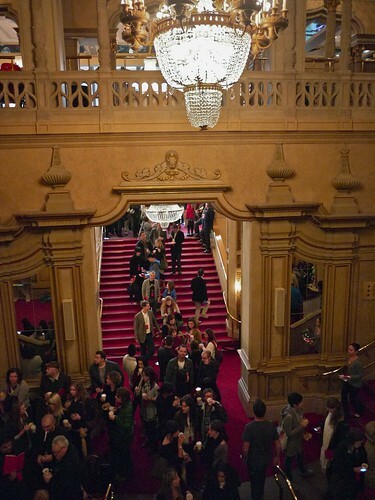 "I didn't fall in love with Vancouver because of what it was, but because of what I knew it could be." 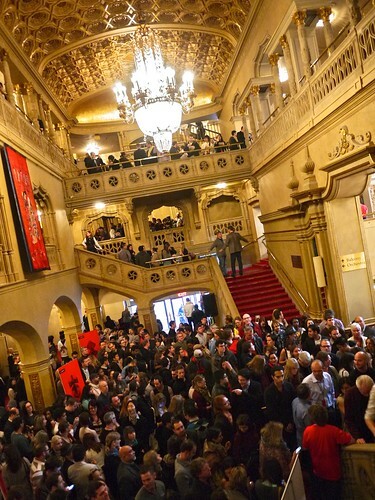 I must admit I greatly sympathize with the organizers (who looked mostly haggard yet insanely positive and upbeat) with the logistical nightmare of managing two thousand plus conference goers, feeding, entertaining them, and whatnot. Things could have been better and there were hiccups, but the design, execution, and vision behind the day was steadfast in its precise construction. I think it's a testament to the committee and volunteers how organized and structured things were in spite of the long lines and sea of people everywhere. Breakfast Television host and emcee Riaz Meghji performed admirably, engaging the audience amidst an always diverse selection of local and international speakers. Each speakers session opened with an artistic and musical accompaniment varying from live painting, acrobatics, and opera. This was a classy touch. Speaker highlights included Mark Brand's colourful, personal adventures in business and philanthropy. "There is nothing more invigorating than knowing how flawed you are, and still believing you can make a difference." However, the unmatched turning point was Dr. Jean D. Caruthers' bizarre cry filled story about developing Botox for cosmetic use. Words cannot describe the awkward humour and entertainment Cauthers brought with her stiff, emotionless, plastic expression, exclaiming she had not frowned since 1987. Dr. John Izzo gave a heartfelt talk about generations, bridging the greatest with the baby boomers and today's youth. "When I'm 80 years old, I don't want to be apologizing for what my generation did. This is our moment." The charming Elaine Lui (aka Lainey Gossip) made her case for social anthropology and the history of celebrity gossip, closing out the show. It was a massively entertaining, well thought out, and fun discussion of our social expectations and contemporary gender roles in the context of public figures. 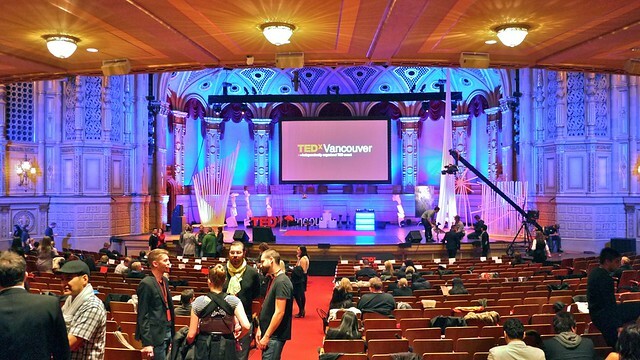 While it was a long Sunday, full of impassioned, interesting ideas, influences, and education, I have a continued yet reserved optimism for TEDxVancouver's precipitous growth (by at least double each year). I've seen the event grow rapidly from modest roots into a monstrous endeavour, only hindered by its own limitations. There is no shortage of change makers, leaders, and doers in this city. The challenge has always been channeling this positive energy, harnessing it, and setting it free creatively into the public sphere. Who knows where this version of TEDx will go from here, but judging by the day's themes, its growth and future looks to be amplified through hopefully further vision and leadership. More | YVArcade / 2010 / 2011 / BCBusiness / Maurice Li / Senses Inspired / The Province / V.I.A.